After my father first told me we were going to have to move Marie to an assisted living facility, I began thinking about the past – see previous post. When I was in junior high (not middle school – just saying) and high school, we would alternate between our house, Marie and Pick’s, or Jack and Juanita’s. When we were at Marie and Pick’s, it wasn’t long before I would start messing with her organ. She would come over and sit by me and help me play something that didn’t sound like zoo animals on the warpath. But I thought the organ was really cool. The adults would be having a conversation that I was not invited to join. I would just sit at the organ and move the slides around and step on the pedals like I knew what I was doing. When Marie had the chance, she would slide onto the bench beside me and teach me a little something about playing the organ – before having to return to hostess duties. Cyndy and I arrived at Marie’s where Dad was working to clear things out. We walked around the house. Some of the kitchen stuff we wanted. I spent time putting aside things we can sell online and make money for ourselves and the estate. Marie had so much that it was a little overwhelming. I walked into another room and was rendered speechless. Against the wall was Marie’s Hammond organ. 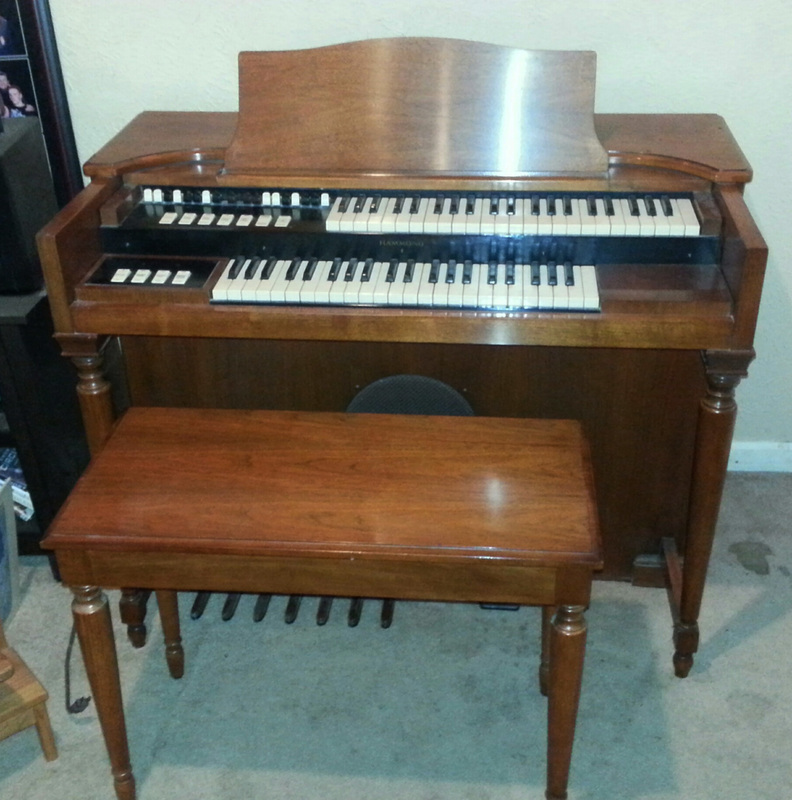 The organ is now in our living room. It needs a serious “tune-up,” as it were. I look forward to being able to play the organ (a little). Until then, I look forward to seeing her and playing my songs for her again – even though she may not recognize me.